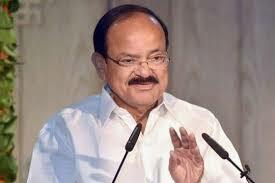 Hyderabad: Vice President M. Venkaiah Naidu on Sunday said educational institutions should impart skill based training to transform students from being job seekers to job creators, suggesting need to revamp education system to meet world class learning. For the purpose, Naidu, while addressing the students of Dr. D. Rama Naidu Vignana Jyothi Institute of Rural Development and the members of the Vignana Jyothi Society here, stressed on building “proper ecosystem” in every higher educational institution. Highlighting the urgent need to bridge the urban rural divide in terms of education, Naidu lamented that rural youth had limited access to quality educational programmes. “Access to education to all levels is essential for inclusive growth,” he said.